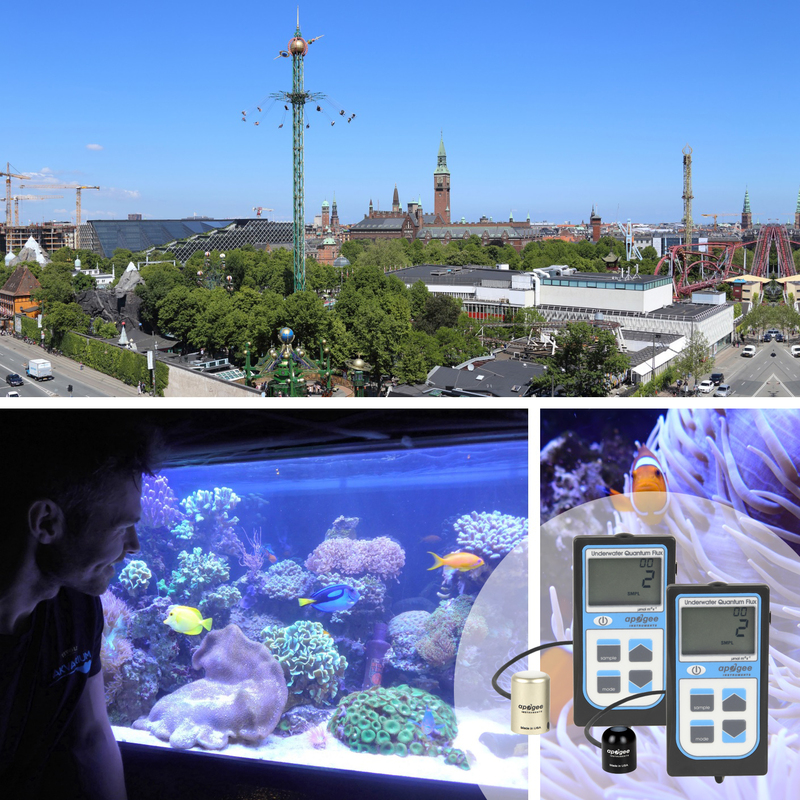 Aquarist technicians at Tivoli Gardens in Copenhagen, Denmark are currently using Apogee underwater quantum meters to optimize the illuminaton of their extensive aquarium exhibits. Achieving the perfect balance and arrangement of their LEDs, fluorescent lights, and other lighting sources requires great care as many things must be considered. First, the lighting must be arranged in a way that pleases the public viewing the corals. Second, giving the specimens the proper spectral irradiance and intensity is critical in helping the flora and fauna thrive. Next, excess light must be managed to reduce algae growth and minimize maintenance. And finally, the power use of the exhibit must be optimized for electricity cost and conservation. With 4.6 million visitors in 2017, Tivoli Gardens is the second most popular seasonal amusement park in the world only behind Euopa-Park. Using Apogee underwater quantum meters to measure light levels in the Tivoli Gardens aquarium exhibition.